99 Facts you didn’t know about Latvia: The Special 99th Independence Day 3-Part series. Part 1. 99 years ago, the Independence of Latvia was proclaimed on the 18th of November at the Latvian National Theatre. Today, it is still an important date for every Latvian. It’s a public holiday and there are various events taking place across the country throughout the day. In Riga, the celebration begins on the first half of the day with a parade and laying of flowers at the Freedom Monument. In the evening, the celebration continues with concerts and other events and it ends with amazing fireworks over the Daugava River. Public transport is free of charge in Riga on the 18th of November. A week before, a parade of the National Armed Forces takes place in the afternoon at the 11th November Embankment. To celebrate Latvia’s 99 birthday, What To See In Latvia is excited to present 99 facts about Latvia divided into three parts for every November weekend until the 18th of November. Hey! My name is Ilva and I'm a Latvian living in Copenhagen. 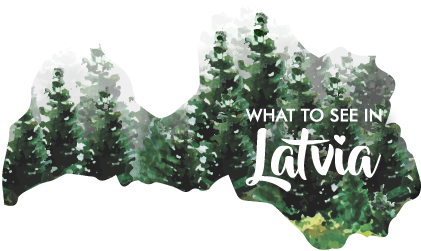 Since there have been so many people asking me about Latvia, I decided to create this blog so I can share with you and also discover myself the most prettiest places in Latvia. This blog is meant for those travellers, who want to discover a true secret gem in Northern Europe. Stay tuned! Cheers! @2019 - What To See In Latvia. All Right Reserved.